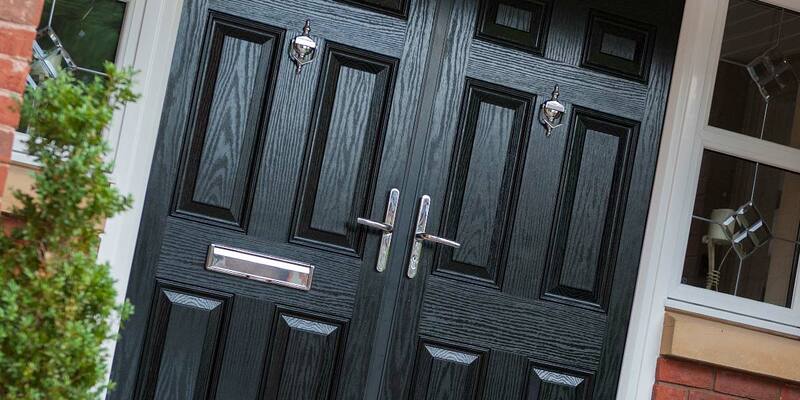 5 Star's Composite Doors have the most stylish designs with the latest technology available. 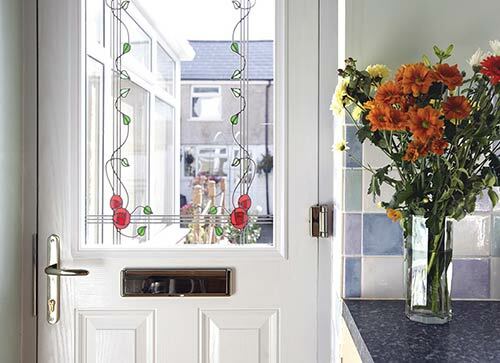 Not only do our Composite Doors use the best materials but they also have the latest in locks, framing and art decoration. 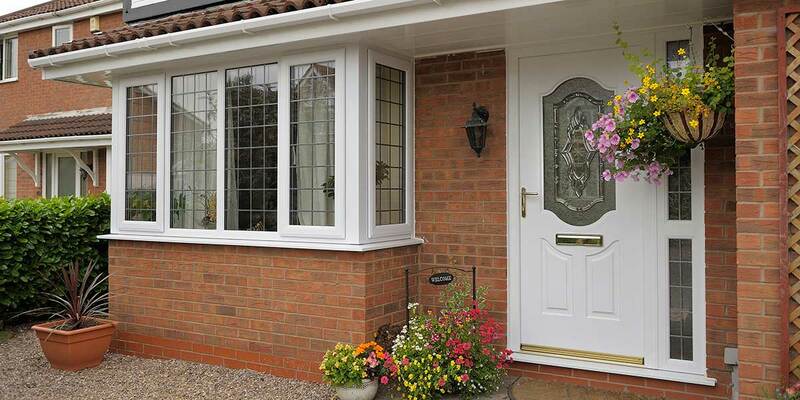 You can be sure that our front and back doors are the most sturdy, durable and stylish replacement door on the market. 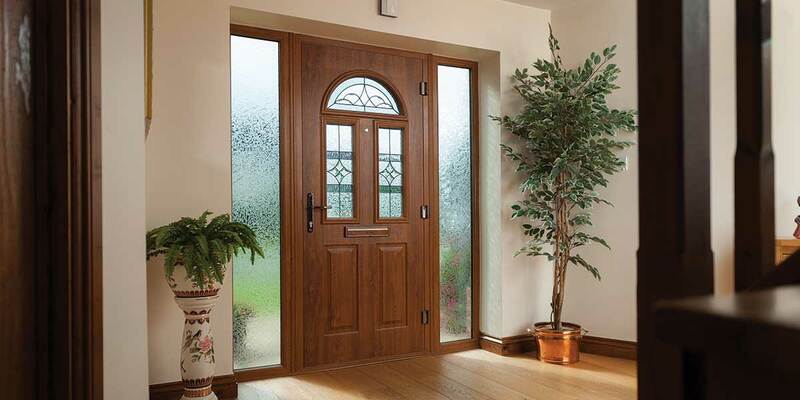 Whether you want a contemporary door or a traditional door, we have a great range of designs for you tochoose from, all available in seven colours with a beautiful range of glass patterns and glazing styles. 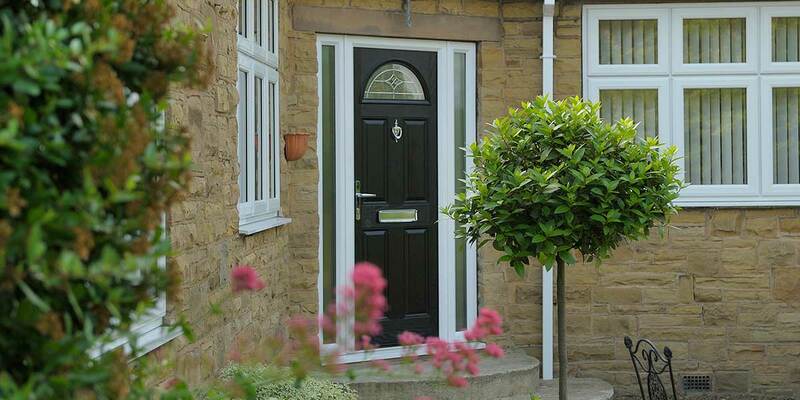 Our Composite Doors have fully suited furniture so whether you choose gold, chrome or black furniture to finish your door, you can be sure of a perfect match. 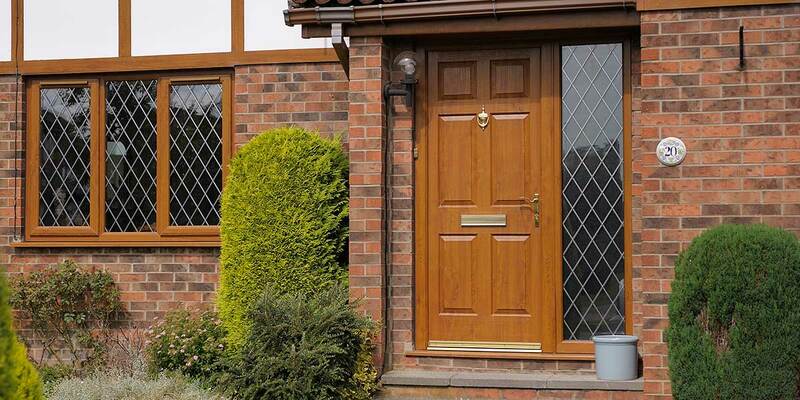 The quality of a Composite Door is plain to see and feel. It is reassuringly heavy and thick, yet incredibly easy to open and close. 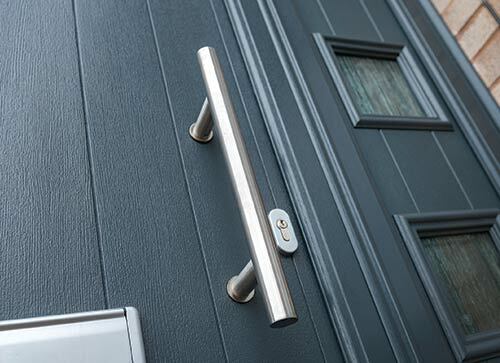 The sound of the door latch meeting the high security locking mechanism on the door frame inspires confidence and reminds you why you opted for a Composite Door. 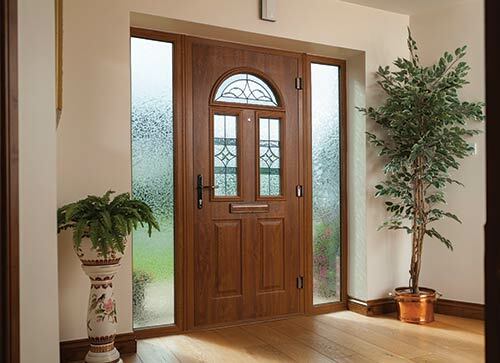 The door finish is suitable for all weathers and has been tested in hurricane-like simulations. 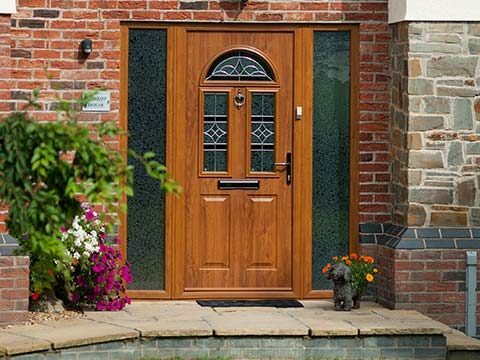 So whatever the British weather produces, your Composite Door will withstand and it will retain its good looks too for many years. 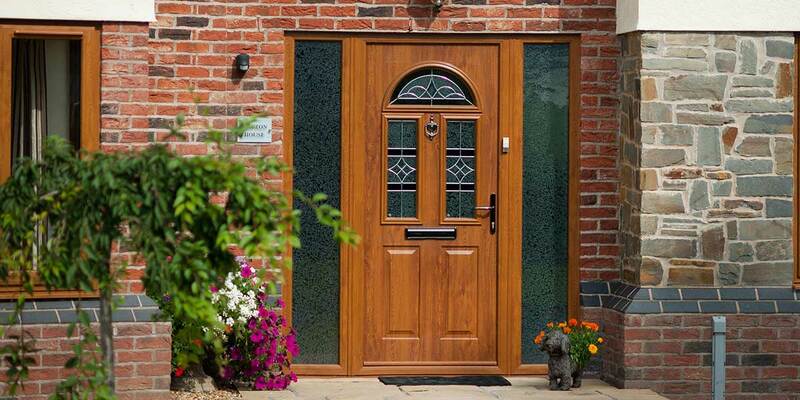 Speaking of its good looks, you’d be forgiven for thinking that a Composite Door was actually real wood. 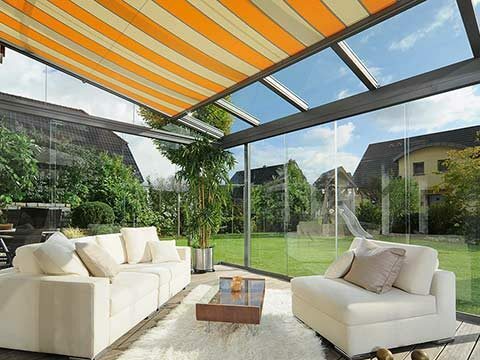 The authentic wood grain finish emulates, almost beyond belief – the appearance of painted timber, and this is wonderfully complemented by sophisticated hardware, door furniture and glass patterns. Behind every great front or back door is a reliable locking mechanism and a sturdy framing system as its primary purpose should be to always protect your home to the fullest. 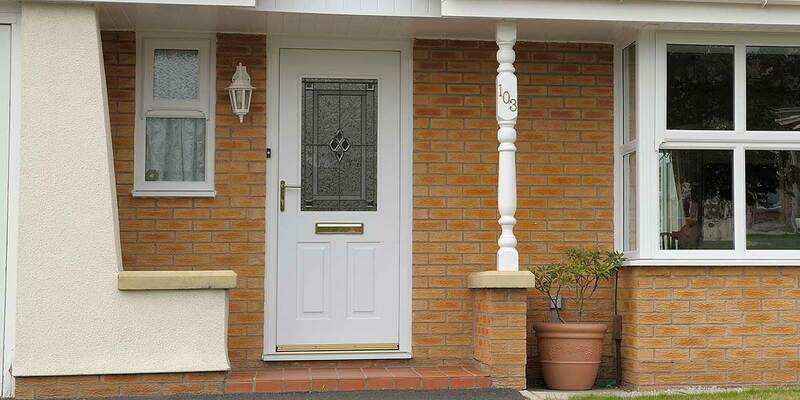 You couldn’t wish to find a more secure door solution than the composite door which is so-called as it comprises many different materials meshed together to create one phenomenally tough design. 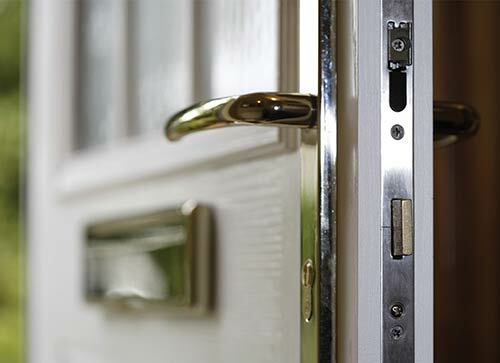 When firmly locked shut, you can be safe in the knowledge that your home is fully protected. 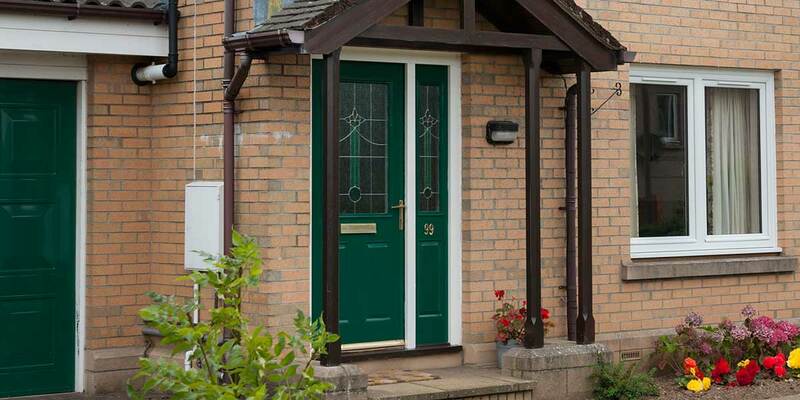 As well as being incredibly secure, a composite door also offers superb energy efficiency so you can say goodbye to that cold hallway and expensive fuel bills for good. 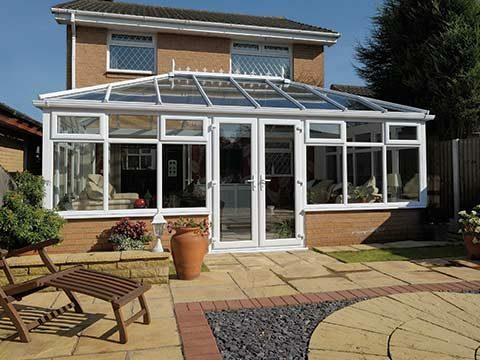 Expect to benefit from a much more comfortable abode so that you can reduce any reliance you have on your heating system all thanks to the outstandingly high level of thermal efficiency this door design provides. It will pay for itself in the long-term. 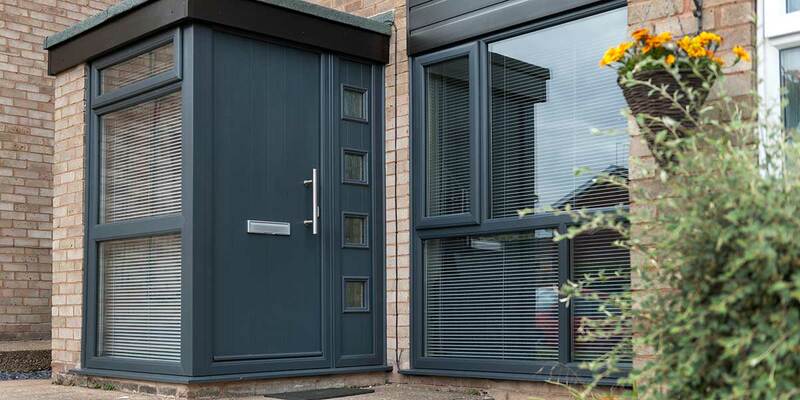 A composite door needs to be properly accessorised with some stylish hardware not just for aesthetic reasons, but to also ensure that it provides the reliability and security you expect of a contemporary door. 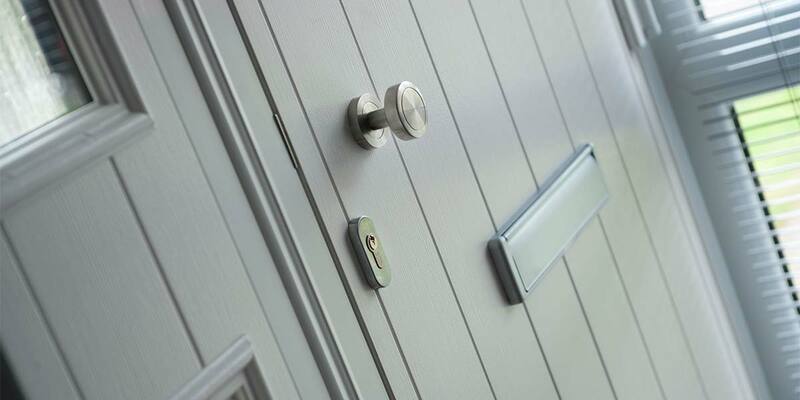 Hinges and handles are an absolute given, as is an elegant letterbox, number plating and knocker. 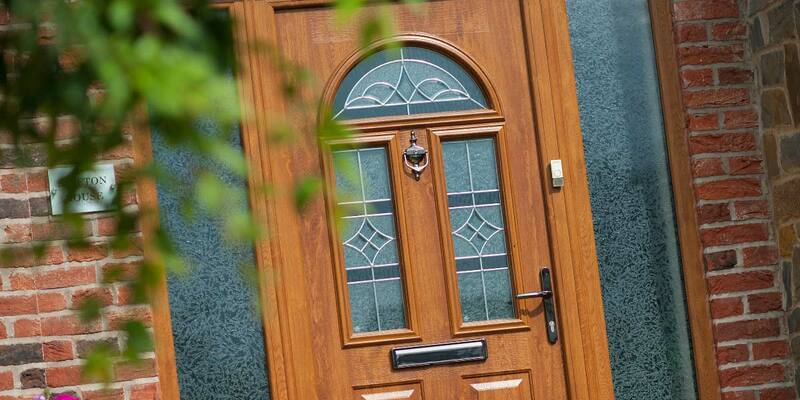 Behind every pretty composite door is a haul of hardware solutions. 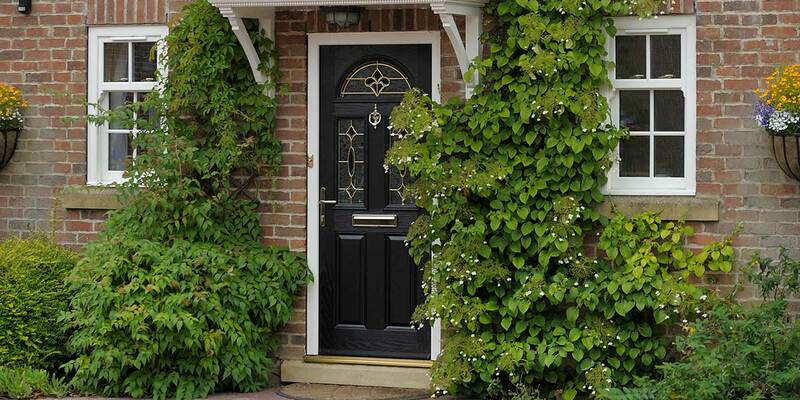 Conventional composite colours such as white, black, red and blue will never go out of fashion so for those wanting an ageless composite door look no further than any of these finishes. 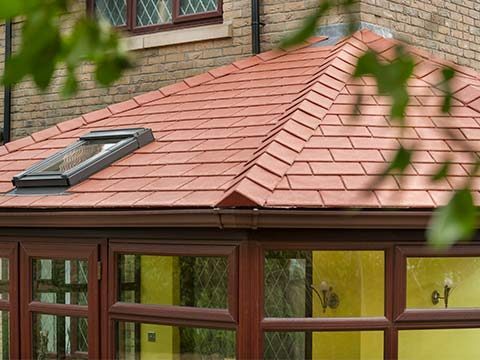 We do like to think outside of the box here at 5 Star though so in addition to traditional favourites we also offer a selection of contemporary classics including grey and Chartwell Green. Not forgetting the oak and darkwood finishes we also provide which boast all the hallmark details of a wooden door, minus the maintenance. 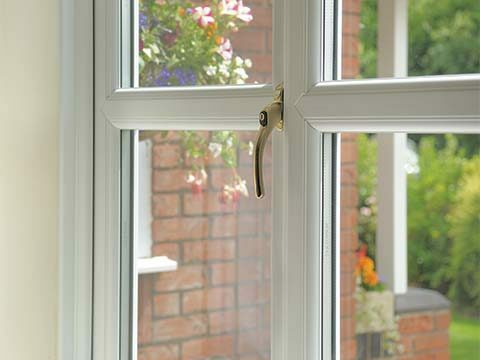 Did you know that plain glass isn’t the only option for your new front or back door? 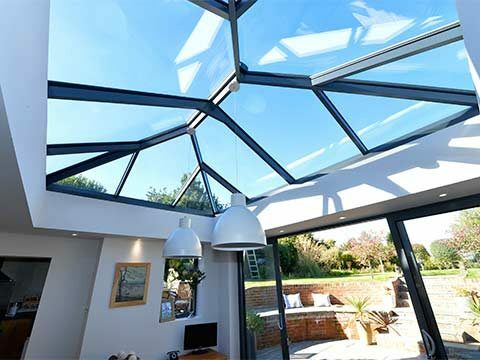 Having textured glass is something you may well not have given consideration too but you should as it will add an abundance of character to the final design. There is a choice of textured glass available including Digital, Autumn Leaf, Sycamore and a Cotswold decoration. 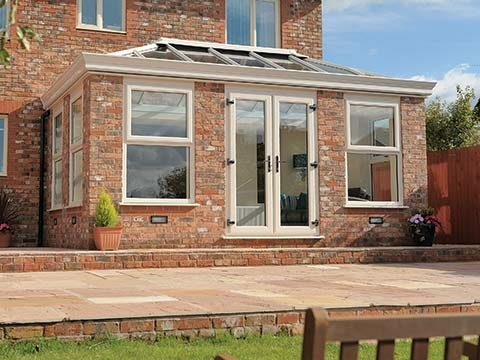 This finance option allows you the convenience and flexibility of spreading the cost of your new door over 60, 120 or 180 months*. You must make the minimum repayment each month. 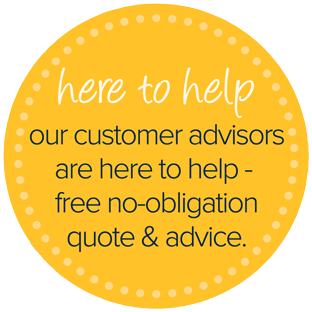 However you can also make additional payments and therefore control the length of the loan and the amount of interest you would pay.